At KONNEKT, we have a number of IT jobs in Malta, starting from graduate jobs in IT all the way up to more senior roles. KONNEKT’s dedicated IT & iGaming recruitment specialist team works hard to match IT graduates and specialists to their desired role. We believe in sourcing the best graduates and helping them to get started on a successful career path in their desired field. Take a look at our current graduate jobs in IT. 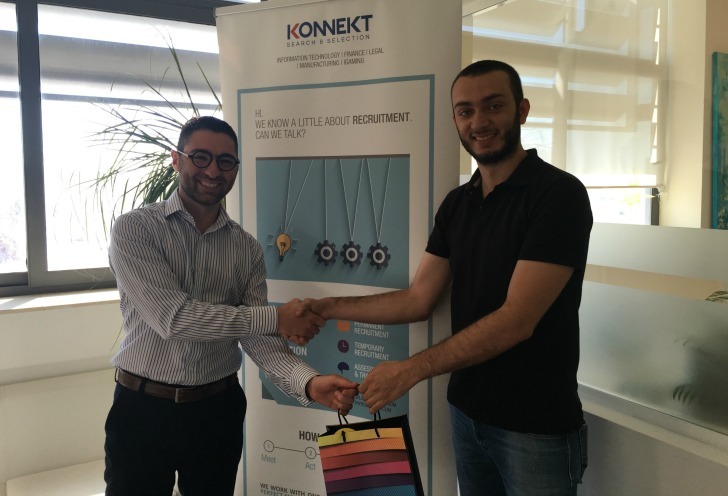 KONNEKT's IT & iGaming Recruitment Manager Etienne Gatt presenting the prize to our winner. If you’re an ICT student who is about to graduate, we’d like to invite you to take part in our competition to be in the chance of winning a great prize. 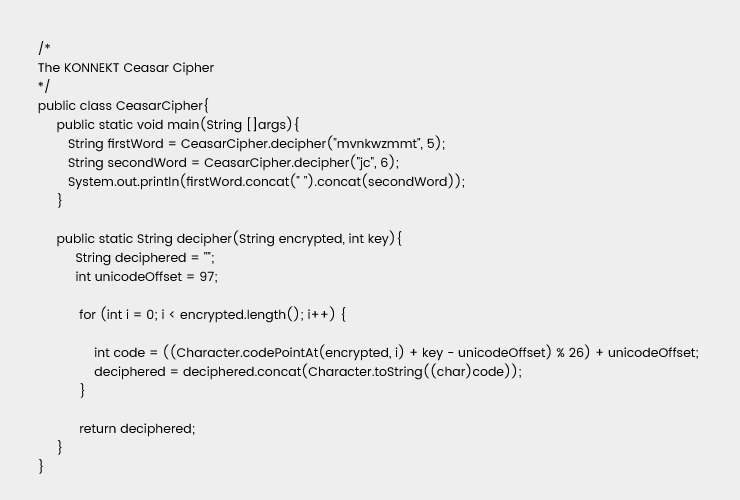 De-code the following Java code and submit your answer below.